[physically] My weight hit the lowest record ever I remember since I am at this height. A mild nausea, consistent but tolerable. I could eat more today. No appetite. Burping. Not much fatigue. My face still has pimples for the last 3 days. My period still goes on. A nurse called me and told me that it could be irregular during chemotherapy. She did not sound concerned about it. Every night, nausea gets worse. [emotionally] Very steady. It may be still too early to say, but the first week of the chemotherapy is rough and tough. If that is the case, 5 more weeks of that to overcome. I have 6 cycles every 3 weeks, that makes it about 4+ months. It is not like 5 months of rough and tough time, more like 5 weeks in total. That way, emotionally it is easier to cope with this. In the train heading back home, I exercised an “escape” that my physiotherapist had told me how to calm me down. 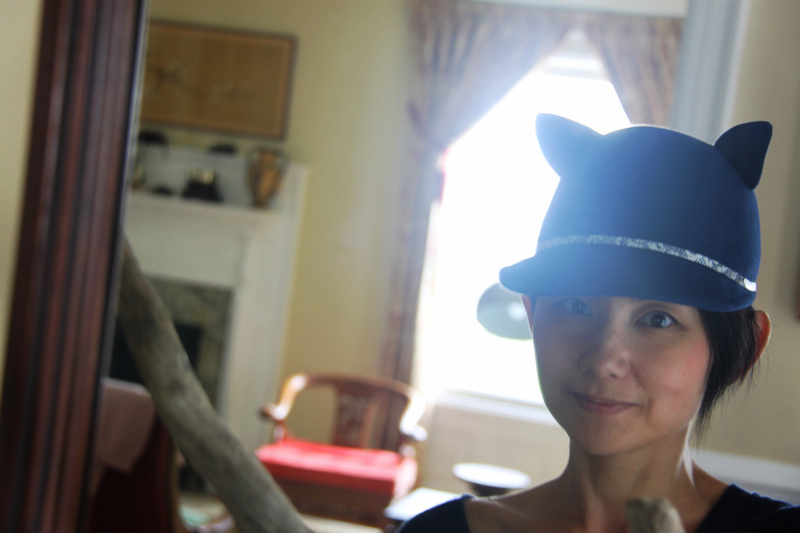 Neko-mimi hat is so cute! English comment is accepted but Japanese isn’t.